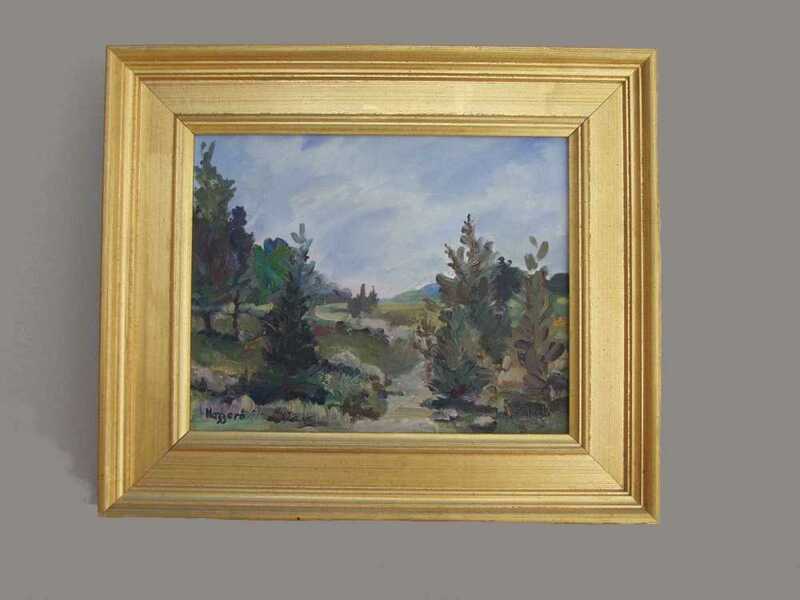 Standard Frame on "Elizabeth's Path"
My standard frame is a 2" composition gold leaf frame that is included in the pricing. A number of alternative frames are available including some with real gold. As one would expect, these carry an extra charge. Please call for details. Please note that prices are subject to change. Please call for availability. Discounts available to dealers and regular clients. Oil on canvas. 9 x 12 in. Oil on canvas. 24 x 30 in. Oil on canvas. 8 x 10 in. Oil on canvas. 16 x 30 in. Oil on canvas 16 x 20 in. Oil on canvas 24 x 30 in. Oil on canvas panel 9 x 12 in. Charcoal on paper 16 x 18 in. Charcoal on paper 12 x 16 in. Charcoal on paper 8 x 10 in. Oil on canvas. 16 x 12 in. Oil on canvas panel 16 x 12 in. Oil on resin paper 7 1/2 x 7 1/2 in. Oil on canvas 11 x 14 in. Watercolor 14 x 20 in. Oil on paper. 6 x 6 in. Oil on canvas. 14 x 11 in. Oil on canvas panel. 16 x 12 in. Shipping charges will be the actual cost. Buyers may use their own shipping accounts if they desire. Handling charges may apply to overseas shipments. Please request a quote if you are not sure. Shipment will be by UPS or Fedex. Please specify whether you have a preference or if you would prefer express shipping. All reasonable efforts will be made to rush your order, however shipment will occur only after payment is confirmed (please allow time for your payment to be cleared).